Ranked Battles were our first foray with the new Bonds currency, and we looked at it as a learning opportunity that will help us gather feedback and evolve Bonds moving forward. Now, you can stock up on Bonds in Tier X Random Battles, Grand Battles, and of course, the Ranked Battles 2nd Beta Season. As promised, we don’t plan to stop here—starting with Update 9.20.1, Epic Medals and Battle Heroes earned in Tier IV–X vehicles come with Bonds. Why Are We Tying Bonds to Medals? Bonds quickly became the talk of the community since their debut, with many players asking for more ways to earn them. That’s exactly what we wanted to implement, but there was a lot more to figure out along the way. For one, we had to find how to grow the currency while keeping its core concept intact. Bonds were initially positioned as a definitive reward for the most skilled and efficient, and we aim to keep it this way. That’s the reason we started with Tier X engagements—it takes a bit of time and effort to reach the top tiers and survive when you’re there. Hence, the chances of getting Bonds by luck are close to zero, cementing their intended role. At the same time, we didn’t want to leave behind tankers who haven’t made it to Tier X, or don't enjoy playing at lower tiers. Adding medals to the equation seemed like a natural solution; the accolades on a personal record speak volumes about a tanker’s worth and signal how far you’ve come in terms of combat excellence and strike that special chord, pushing you to step up your game, constantly aim higher, and rise to new challenges. The harder they are to attain, the more lasting memories are left. By making Bonds an extra reward for Epic Medals and Battle Heroes achievements, we stay true to the concept behind the currency and give you something to work toward beyond just recognition and satisfying memories. 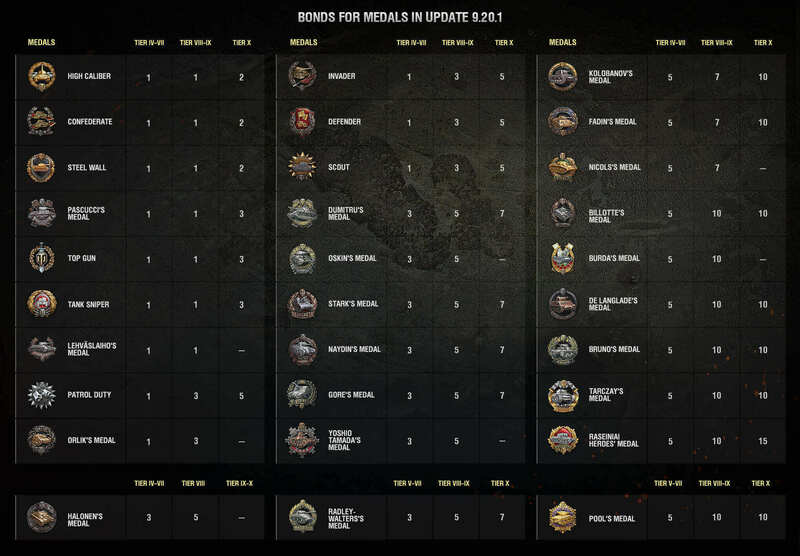 We outlined two categories—Epic Medals and Battle Heroes achievements—and ranked their medals by complexity. Another variable affecting Bonds quantities is the vehicle you choose: pick any Tier IV–X tank you’re (ideally) the best at and hit the battlefield. 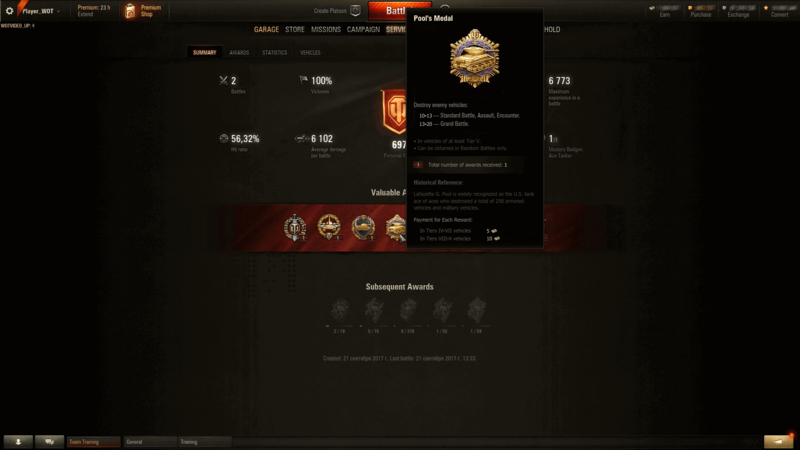 Just keep in mind that the higher the vehicle tier, the more Bonds you get with an achievement. NOTE: To emphasize the overarching concept behind Bonds, we excluded cumulative awards like “War Genius” and “Wolf Among Sheep” and went ahead with those that reward stellar performance in a single battle. Where Can You Look It Up? To get a rundown of the medals you attained in a battle, head over to the “After Battle Statistics” window and right-click “Detailed Report.” The info on medals is in the “Bonds” section. 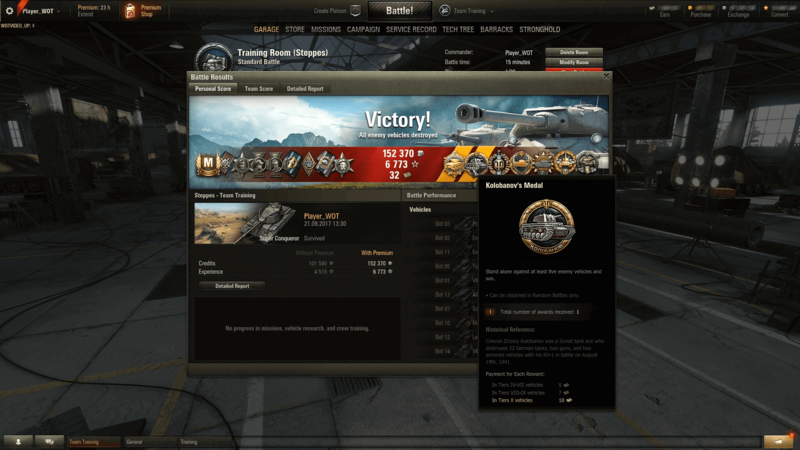 If you’d like to know a medal’s worth in Bonds ahead of a battle, just hover the cursor over it to open a tooltip where you can discover the number of Bonds you can earn with it in Tier IV–VII, VIII–IX, and Tier X vehicles. The new rule doesn’t apply to medals received before 9.20.1 since crediting Bonds for all Epic Medals and Battle Heroes achievements earned to date would disrupt the game economy. Leave any feedback you have, whether it’s on the list of medals or the Bond-earning mechanic, on the forum and we’ll jump in to chat. We look forward to digging into your suggestions as we fine-tune this new feature leading to release. And we’re open to your input as we work towards adding new ways to earn Bonds.